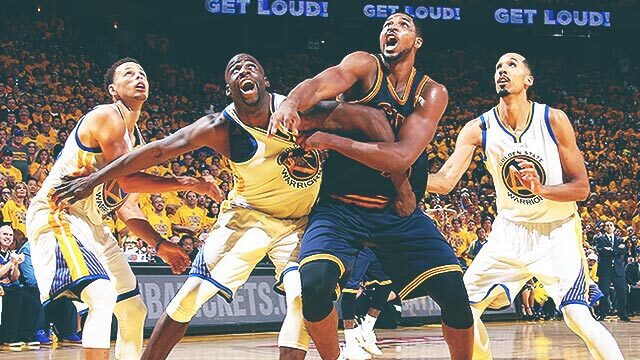 The Golden State Warriors drew first blood in their NBA Finals rematch against the Cleveland Cavaliers, 104-89, thanks to the stellar play of their bench mob. The Dubs pretty much led the whole game before pulling away late, led by a playoff career-high 20 points from Shaun Livingston. The squad held true to their #StrengthInNumbers mantra, and had seven players in double figures (Klay Thompson almost became the eighth with nine points). Somehow, the Cavs seemed to have figured out reigning MVP Stephen Curry, limiting him to 11 points (on 15 shots) and causing him to turn the ball over a game-high five times. It just so happened that the opposing team's reserves came to play (45 points) and theirs didn't (10). In fact, checking the Chef isn't the only thing the Cavaliers did right in Game 1. We compiled a handful of highlights in the losing end, which if they had gotten more of, might have made the match more interesting. LeBron James was his usual near triple-double self (23 points, 12 rebounds, nine assists), but the way he attacked the basket this early in the series is a good sign. Occasional transition threes wouldn't hurt. 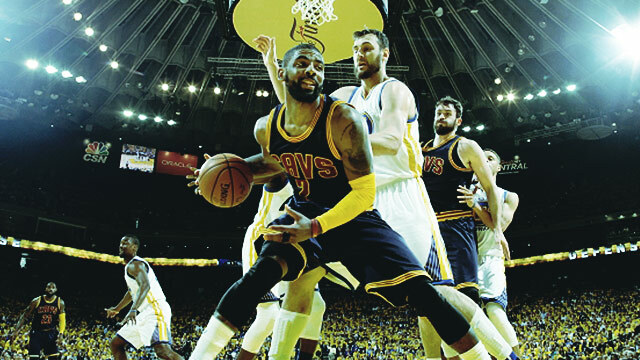 Criticized for lapsing into hero ball, Kyrie Irving makes up for it with his level of aggressiveness. Another positive takeaway from this game is Cleveland's slight advantage on the boards, anchored by Kevin Love's 13 rebounds. At least we know that Tristan Thompson is doing work (10 pts, 12 rebs). But seriously, they need their bench to step up big time.